West coast cities are not the only ones seeing radiation increase near their water. The South Carolina Department of Health and Environmental Control confirmed a leak from a nuclear power plant has affected drinking water for communities near the Barnwell Nuclear site. It has been reported that a radioactive plume is leaking from a site in South Carolina. The Barnell Nuclear site occupies about 235 acres of land originally owned by Chem-Nuclear Systems (CNS). 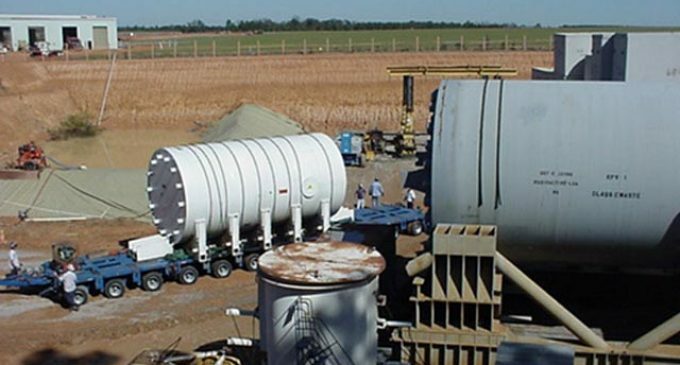 Disposal of waste began at the facility in 1971 and Chem-Nuclear Systems (CNS), currently owned by Energy Solutions, has been the sole operator since that time. According to WLTX, the plume is moving off the Barnwell Nuclear site southwest toward the Savannah River Site. Traces of Tritium have also been found in Mary’s Branch Creek. The site receives toxic waste from South Carolina, New Jersey, and Connecticut and have enough land to stay open through 2038. Hi Dear, are you truly visiting this site regularly, if so after that you will without doubt take fastidious experience. onto a colleague who was doing a little research on this.